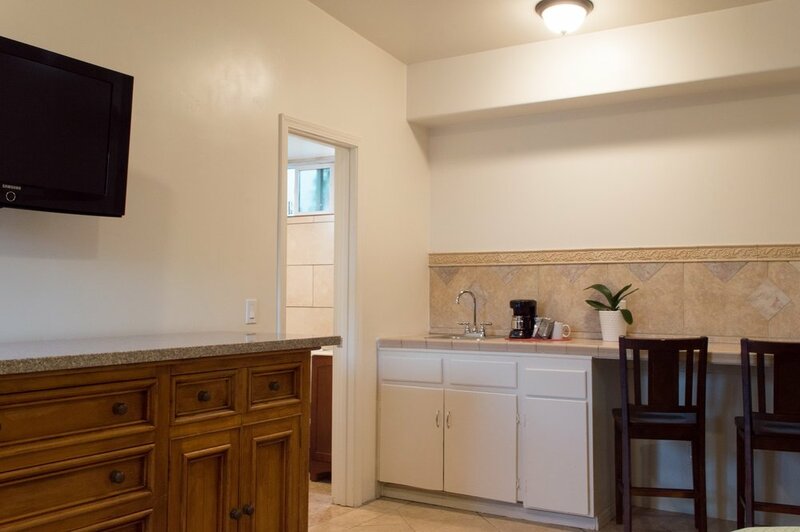 Our King Spa Suites have been completely remodeled and refurnished with the added amenities of an electric fireplace and bar area to enjoy your evening beverages or privately enjoy your morning coffee. All suites feature Fresh European Linens. 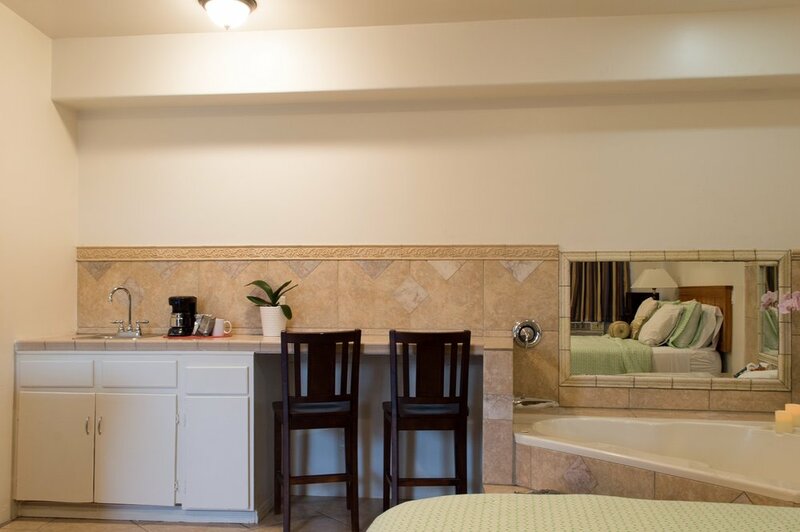 Relax and enjoy the oversized Large Spa Tub and beautifully custom tiled separate Walk-in Shower. Fluffy White Towels and Baronessa Cali Tarocco Silician Red Orange bath amenities.